Caravelle by Bulova masonic watch has a gold toned 38mm bezel and stainless steel case. Fine quartz movement, white round face with date indicator. Gold-tone stretch stainless steel bracelet. No clasp. Limited 1 year warranty. 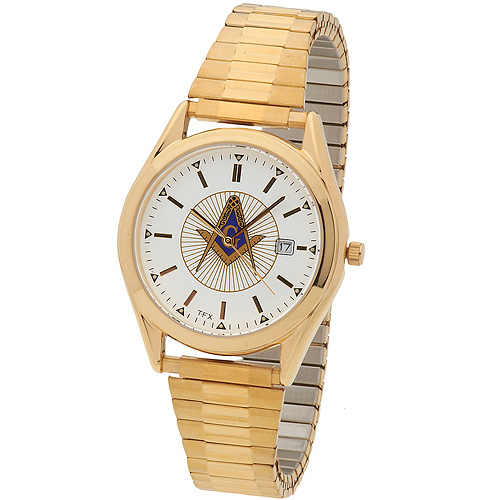 This is a very nice watch with the Masonic symbol, but the hour hand is not accurate. It is a little off when pointing to the hour and thus it is hard to read.